There are blocks from 10 designers, and full instructions for that weeks block emailed on Mondays (if you sign up late no worries…you can get all the block instructions anytime). Here’s a mock up of the blocks…it will be a fun summer challenge and a good way to learn some new skills! You can find out more info here, and the block of the month is for sale here. The first block link emails on the 16th! Can you tell us how big each block is? Just need to get an idea of the overall size of the quilt. Can’t wait to “meet” the new little one! Just curious – which blocks are yours? This is super cute!! I would like to know the size of the block also. I’ve been on pins and needles wondering about that baby!!! I didn’t even think about it but jumped right in! I’ve been having so much fun with Project 48, my first quilt along experience, so I thought why not? I may actually not be able to do this one until a bit delayed, but it looks great, and I’m enjoying the sampler style right now and had been thinking I’d wanted to make one more. So thanks for presenting just what I needed. How fun Charlotta! 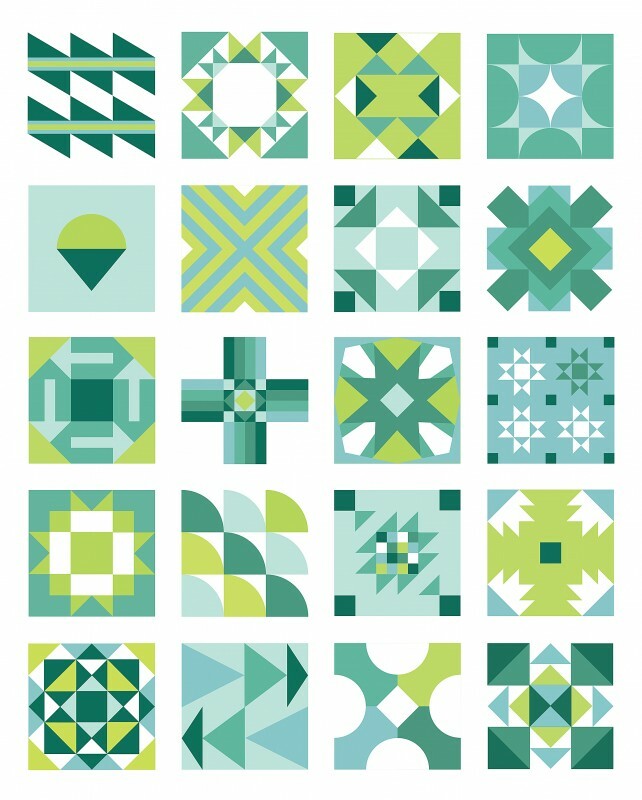 Quilt a longs are fun…I get too behind but luckily with all the block instructions it should be easy to keep up and learn some new things for me! Have a great day! Best wishes to you and your family on the arrival of baby girl! Looking forward to hearing all about her! Take Care! Wishing you a safe and speedy delivery, as soon as your little princess is ready to make her appearance!